People are usually surprised when I tell them that I don’t drink coffee. As someone who grew up in a part of the country where you find espresso stands at every corner, some just assume I grew up with a cup of brew in my hand. To be honest, you could probably fit all the coffee I have ever consumed in my life into a 2-liter soda bottle. The only reason why you might need a 64-ounce container to do it is because this summer I drank portions of a couple white chocolate mochas. While visiting Spokane in the summer, we ordered Sid’s favorite coffee drink at multiple coffee huts and on a couple occasions, at her urging, I got one too. 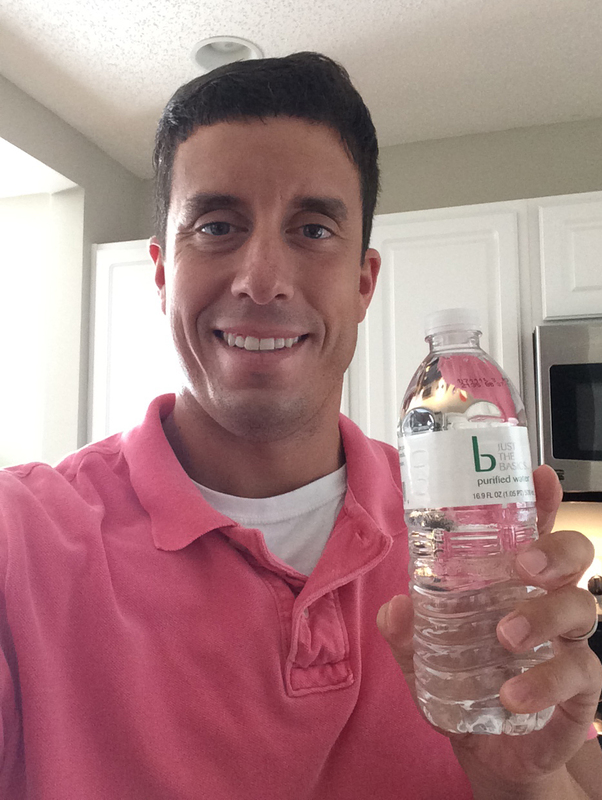 I would drink a bottle of water before I ever would consider taking a sip of coffee. Yep, despite being the son of two heavy coffee drinkers in the most coffee-dependent state in the country, it never grew on me. Milk or water please. Even though I now live far away from the birthplace of Starbucks, the world leader in coffee is still very much on my radar. At Coastal Carolina University, we have a Starbucks presence on campus. Okay Brent, so what? Doesn’t every campus? Wait, let me finish. Yes, we have a traditional Starbucks shop on campus, just like a million other universities across this great nation. But, what sets us apart is the creative relationship CCU has with the coffee giant. 1. Our campus community went bonkers in 2014 when a Starbucks TRUCK was sent to #TEALnation. This coffee shop on wheels would spend the morning at one location on campus and then hang out at another location in the afternoon. Sometimes, it would set up shop at a CCU-owned apartment complex that is off main campus. 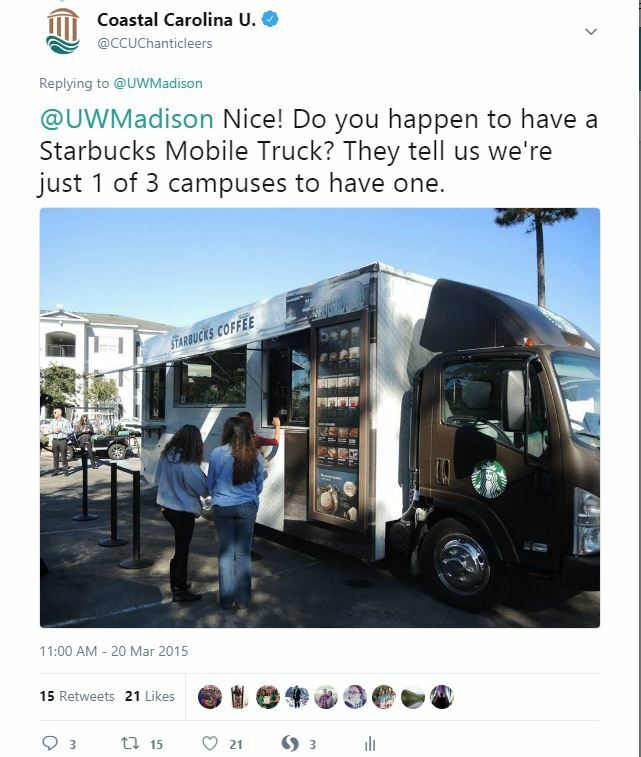 Only three universities in the country had the fortune of being served by a Starbucks truck. After several months, the trial program ended. It was pretty cool to have a Starbucks Truck at Coastal Carolina University. 2. Many of our current students weren’t enrolled when the Starbucks truck was on campus. 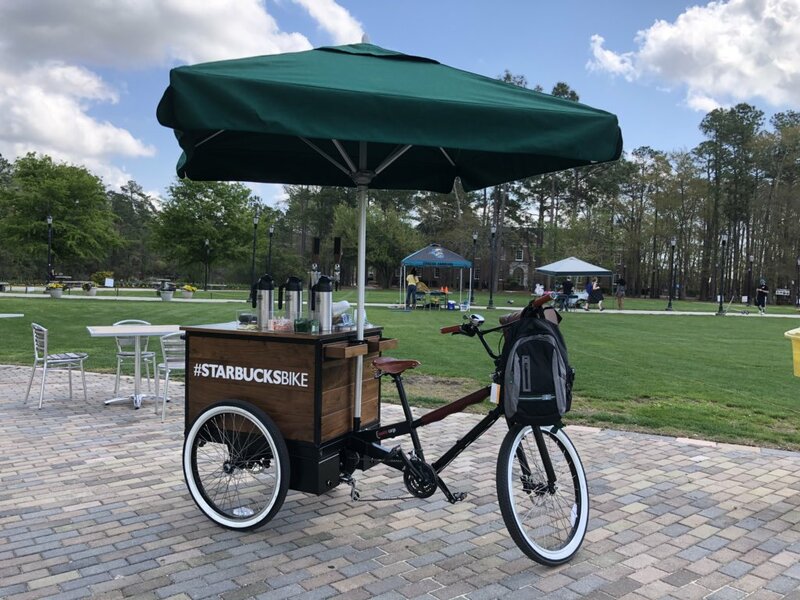 Well, they don’t have to feel like they missed out because we now have a Starbucks BIKE (#StarbucksBike) on campus. Debuting last month, this concept serves nitrogen cold brew, a perfect option for a university in the South that enjoys many hot and humid days. Like with the truck, we are one of only a few locations in the United States to boast the latest coffee dispensing technology from Starbucks. A photo of the Coastal Carolina University Starbucks Bike that I took today. Although I think it is really cool that Starbucks thinks so highly of our Coastal Carolina, I am still not a coffee drinker. I wonder if Sloan will be? Don’t Blink.